Saw the film Oblivion (2013). 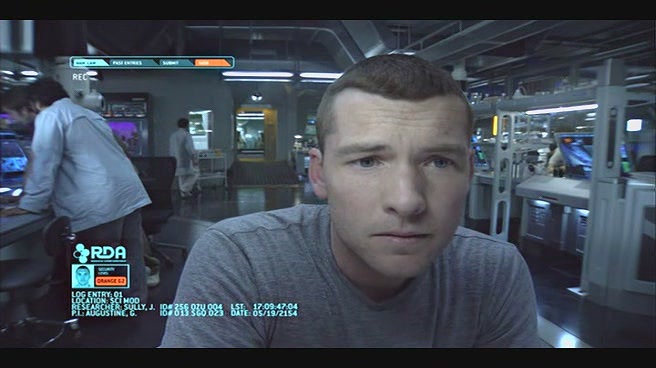 The prop is a dressed up Magpul Masada. One of the unique features, and most relevant to why I would lock on to this weapon as something to build, is that the shrouds stand above the barrel a good distance. As soon as I saw the damn thing I had evil Nerf intent. The long and short of it is that the Swarmfire system packs highly reliable, ammo-insensitive high rate full auto fire into a small package that is exceedingly versatile and flexible. I am no stranger to using them as integrations. I have always been a Swarmpede advocate. In HvZ I have come to find having an underslung Swarmy on my rifle invaluable. So to cut to the chase, MASS-1 started out as a project to bring my Cyclone up to par in the auxiliary underslung firepower department. I hooked up a Swarmy on an old set of handguards for a Recon extension and threw that on. Jump if you want to see this. Jump if you want to read this. 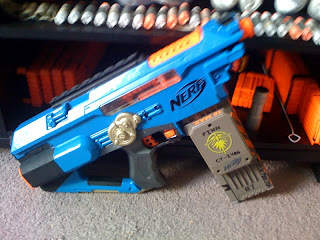 I has a nerf blog! If you followed that link in my sig on the HVZ Forums and came here, this place is new. Bear with me, I will be doing more than reposting old crap as time goes on. Back around December 2012, I was pretty much going through the motions on a Stryfe. It was going to get a set of Barricade motors dumped in, a new wiring harness and all the other tweaks I usually perform on flywheel guns - just a basic, 130 motor build. Nothing special, just functionality. Everyone was a first poster once. "So... I just say whatever to the video log?" I've thought about it for quite some time and I finally pulled the trigger.